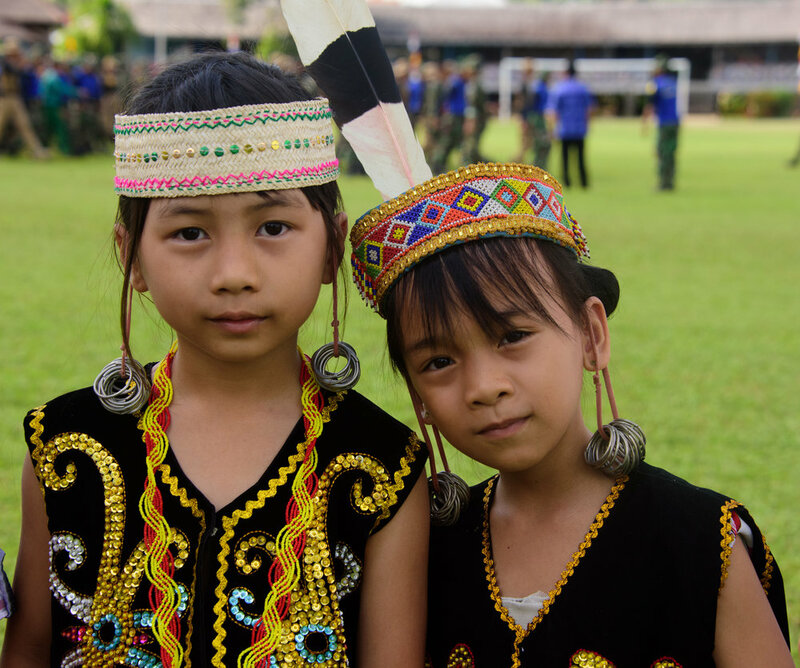 Wisata Setulang Village, South Malinau downstream Sub-district, Malinau District is inhabited by Dayak Kenyah Oma Lung ethnic group and is known for its local cultural wisdom. Among others, as a tourist destination of Malinau District because it has a unique art and traditional culture. As well as the wonderful "Tane 'Olen Village Forest" that is an attraction of this village. 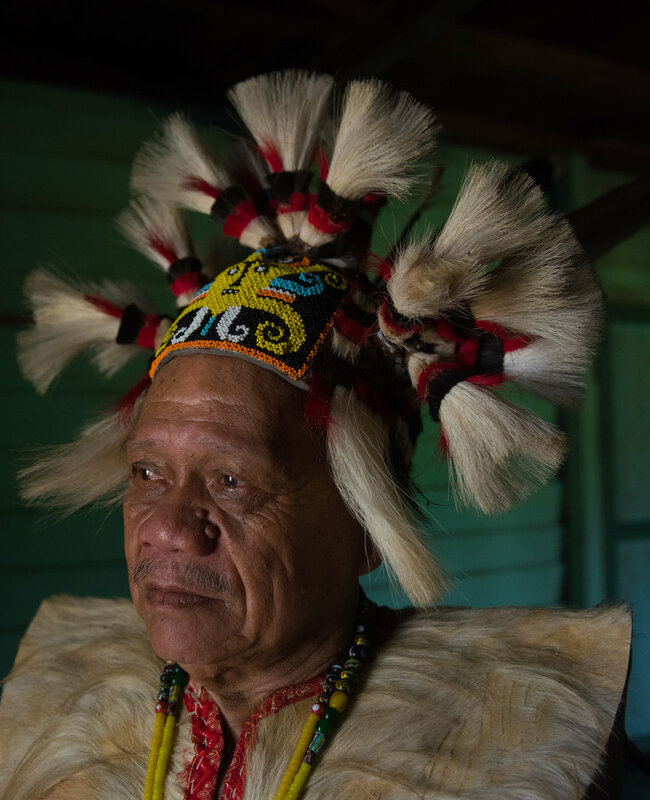 At Indigenous Celebration on 11-13 May later in Bali, group from Wisata Setulang Village will show the beauty of Dayak Kenyah culture Oma Lung which is wrapped neatly in traditional arts and stories about local cultural wisdom. Amoris or Uyau Moris is a musician and sape’ maker who was born on August 31st in 1991. He graduated from the Indonesian Institute of the Arts, Yogyakarta (ISI Yogyakarta) in 2015. 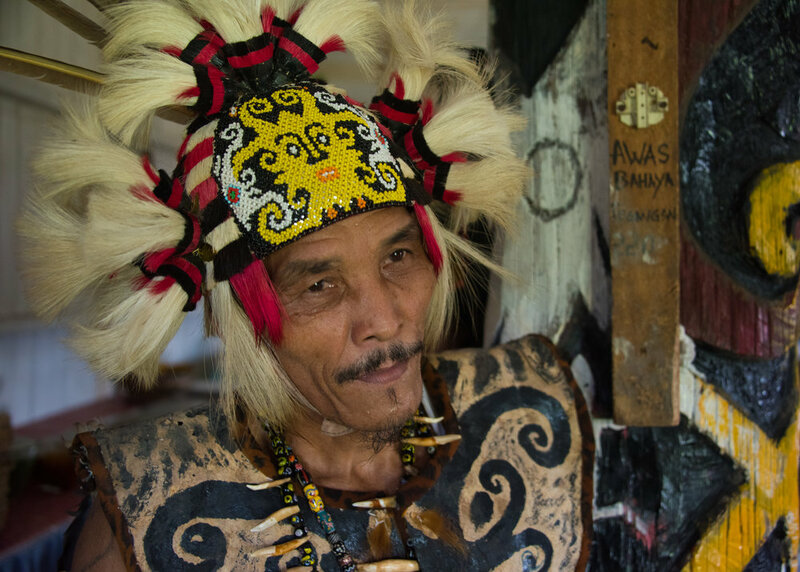 He is also known to have a traditional Dayak Kenyah tattoo throughtout his body. Since he was child, he likes music and play Sape’, Dayak Kenyah traditional instrument. He has a huge vision about education and music that makes him brave to study outside his village. Uyau Moris started his career in music, especially traditional music started in 2010. There are some achievements that he has gained in a musical career and gone to several countries:Tour 3 countries Thailand, Kuala Lumpur, Singapure with vision of Art for the People in 2011. Then, He followed the Dut Dutan Tatto Convention Philiphine in 2013. Then, in 2014, he followed the International Gamelan Festival Kuala Lumpur, Malaysia with his group. In 2015, he was invited with his Band, G Five, at the World Youth Jazz Festival in Kuala Lumpur.In the same year, he was also invited to attend the 2-month French Summer Festival in 7 cities such as the Foklores Do Monde Festival in Saint Malo France, the De Martigues Festival in Mstigues France, Festival de musiques et danses du monde in Maintenon, Danses Festival, Musiques et voixdu monde Felletin, Festival De Montoire in Montire, Festival La ronde des du mains du monde in Ambert France, Festival Du Houblon in Haguenau. Then, in 2016, he was invited again to join the World Youth Jazz Festival in Kuala Lumpur and at the mid-year, he was represent Indonesia in Asian Beat Festival competition, Japan and won 2nd place in Asia. At the end of 2016, he was invited by KBRI (Embassy of the Republic of Indonesia ) Astana Khazakstan together with some musicians in Indonesian Culture concert. On May 2017, he was performed at World Harvest Festival in Sarawak Malaysia. At the mid-2017, he was invited to the Ottawa celebration Canda150 event by the Canadian embassy of Ottawa. At the end of 2017, he was invited again by the embassy of Chicago United States in the Remakable Indonesian Fair 2017.